Before my husband and I got married we discussed how many children we wanted to have. Back then it was two children. After being married for three years it was time for us to start having a family. We discussed our plans, if I I was to keep working and if so where would the baby go while we were at work. When we worked out our budget we realized that putting a baby in daycare was not cost effective for us and the best thing to do was for me to quit my job and stay home with the baby. Glad I did, I love every moment of being a stay at home mom! I do not miss out, never missing any of their milestones and daily life. Thankfully I have never missed first smiles, first words, first steps, etc. All of those moments I hold in my heart as a great treasure. Yes I even like being a stay at home mom when my kids are sick. Most of the time kids want mom when they are sick. I can be there to make them chicken noodle soup, putting on their favorite t.v. shows, giving them medicine if needed and extra hugs. Since we are a homeschool family I teach them. No one knows better than how they learn or what subjects they may need a bit more practice on than mom. Being home gives me the flexibility to teach anytime. If we want to pick up and go on a trip we can and yes continue to homeschool! There are days that fly by and I wish I could just press a pause button because I love being with my children. I am not saying there are not challenges. Like grocery shopping with six kids, the mounds of laundry and all the other daily tasks. Most days it can be a juggling act that is why when I find what works I stick with it for instance the brand diapers I just for my baby. With the extra mounds of laundry and lack of time I need a brand diaper that will keep my baby dry anytime of the day with the Luvs Ultra Leakguards with NightLock. 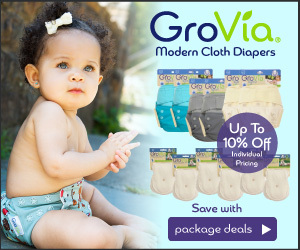 They are Luvs are softer and more absorbent than ever before, with large stretch tabs for easy fastening, ultra-leakage protection and a money-back guarantee. Right now you can save $1.00 off your next Luvs purchase by simply printing off your money saving coupon! February is almost over so hurry and print your coupon today! “This review was made possible by iConnect and Luvs. I was provided compensation to facilitate this post, but all opinions stated are 100% mine.” Mama to 6 Blessings is disclosing this in accordance with the Federal Trade Commissions 16 CFR, Part 255 Guides Concerning the Use of Endorsements and Testimonials in Advertising. I love being home with our kids too! It’s definitely the best job in the world for me.